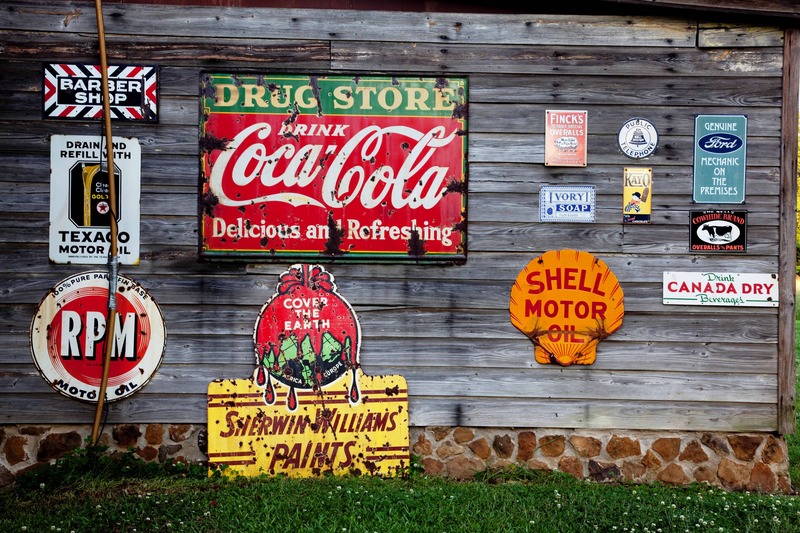 Old school signage – cool, but not really an effective or measurable advertising channel anymore. There is such a wide range of ways to go about advertising your business, and the best advertising channel for you depends entirely on your goals, your product, your market, and many other factors. If you’re looking for some fresh and unique ideas, we’ve compiled a list of advertising opportunities in Cedar Rapids. We decided for this article to analyze the landscape of opportunities in Cedar Rapids specifically, however in the future we may analyze other cities/regions as well. Talk about traditional advertising, right? Well, the oldest trick in the book is still an effective form of advertising that company’s still use today. Granted, in Cedar Rapids and in Iowa in general billboards aren’t nearly as prominent as big cities, but you’d be surprised at how many billboards you’re exposed to in the Cedar Rapids area without necessarily realizing it. The go-to group for billboard advertising in the area is Lamar Advertising. They have a large inventory of billboards along the most heavily-trafficked roads in the Cedar Rapids/Corridor area, and they’ll help you craft and execute your billboard campaign so you don’t just take a shot in the dark. Ideal Uses: Companies with broad target market, major corporate announcements/celebrations (we designed a billboard for Kent Corp. for this purpose), new companies looking to gain mass exposure quickly. Advertising on buses, bus shelters, and bus benches is a great way to get in front of a lot of people in an urban setting. Whether folks are riding the bus, or are simply in downtown Cedar Rapids where they’ll more than likely see the bus driving by, you get a lot of eyeballs on your ad as it makes it’s way through the streets. The people you want to talk to about setting up a transit ads campaign would be Houck Transit Advertising. They’re a Minnesota-based company, but they control transit advertising for practically the entire Midwest market. Ideal Uses: Targeting the working professional market, the local Cedar Rapids residents (who may use bus for commute). Notice I didn’t say “Commercials.” That’s because Video Ads is an incredibly broad category, and commercials are just one of the many video formats you can use. In today’s day and age, videos are the most effective when you tell a compelling story and make it entertaining. While some businesses do make good use of television commercials, the vast majority of businesses find channels like social media and YouTube a much more targeted, cost-effective way to go about sharing video ads. Another thing that makes a great video ad is when you can’t necessarily tell it’s an ad. Instead of having the video consist of the phone number flashing on the screen and a cheesy clip of a friendly salesperson shaking a customer’s hand, make it compelling and keep people’s attention until the end. Then at that point when you’ve gained their trust and gotten some credibility, reveal your company name and how they can contact you. A great company that we recommend working with on your video project is Cedar Rapids-based Flow Media. We’ve actually worked with them ourselves as they created the video that is displayed on our home page. Ideal Uses: Nearly any company in any industry with any target market can make use of video ads. Given the targeting ability of social media, you can boost the video to your exact audience on Facebook and YouTube, as well as use the video for display on your website (like we’ve done). Maybe you’ve never heard it referred to as this before, but pay-per-click is when you advertise using Google, for example. This is certainly something you can try to attack on your own, but fair warning, it gets overwhelming pretty quickly. It’s best to leave PPC advertising to professionals who will make sure you get the most bang for your buck. There are plenty of agencies in the area that can help you pursue digital advertising opportunities in Cedar Rapids. Including us at Big Imprint, Maudience, DeNovo, and many others. Ideal Uses: Competitive market that makes it hard to rank high in Google organically, businesses that want to target specific locations/demographics with a lot of accuracy. Essentially, advertising is a representation of your business. All of these advertising channels listed above lead to the one main representation of your business – your website. Whether it’s a billboard, a video, or a google ad, your website will be plastered on it and it will be where you turn people into customers. Your website is your front door to the world, your first impression to most customers, and ultimately your bedrock to any effective marketing and advertising campaign. Every business needs a website, and fortunately for you, you’re in the right place if you need help either getting a website up and running, or need help improving yours to be the best possible representation of your business. Feel free to contact us at hello@bigimprint.com if you’d like to chat about your website, or if you’d like to learn more about advertising opportunities in Cedar Rapids in general. We’d love to help! Big Imprint is a web design agency that serves the Cedar Rapids and Iowa City area.